Cupcakes are a fun way to celebrate birthdays, anniversaries and even weddings. Speaking of which, I think there was some special wedding that happened this week. So let’s bake cupcakes! I love a good fairy tale. I still have a well-worn book of fairy tales my dad used to read to me when I was little. I have fond memories of sitting on his lap with that book and picking a story for him to read. My favorite stories always had a princess, a prince and a happy ending. With my love of fairy tales, I was beyond excited about this week’s royal wedding of William and Kate. It’s a modern-day fairy tale come true. The morning of the wedding I woke up bright and early at 4:30 a.m. to catch it before work. It was everything I hoped it would be — complete with a beautiful princess, a handsome prince, and best of all, a happy ending. No wedding would be complete without cake. So I also had a cupcake for breakfast while watching the wedding – making it an even sweeter celebration. 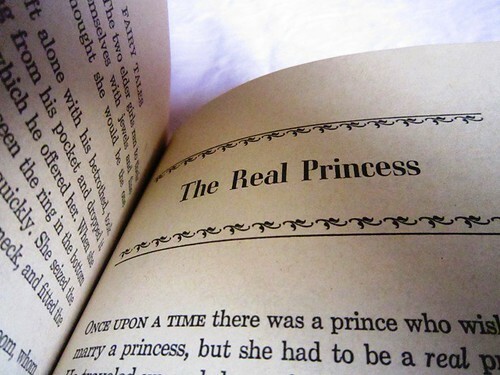 Fairy tales can come true. Don’t give up hope on finding your dream. Kate waited nearly 10 years before marrying her prince. Whether you have found your prince or princess, or are still waiting, enjoy the moment and bake cupcakes. Today I read more cookbooks than fairy tales. 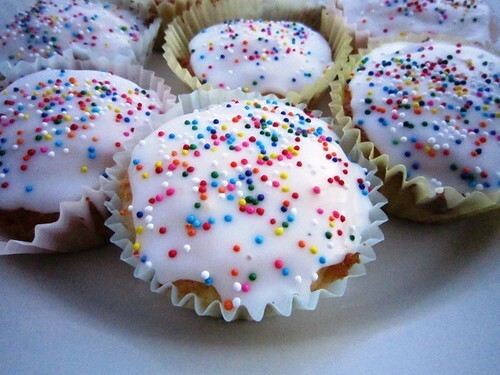 This recipe for Iced Cupcakes is from the What’s Cooking (Baking) Book. I found this book at a half-priced book store, and I love it almost as much as my fairy tale book. It has beautiful photos and a plethora of recipes for wonderful baked goods. 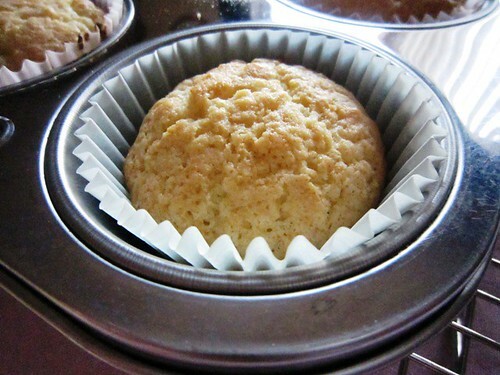 This recipe joins together four basic ingredients: eggs, flour, sugar and butter. It’s simple and elegant, just like a good wedding. 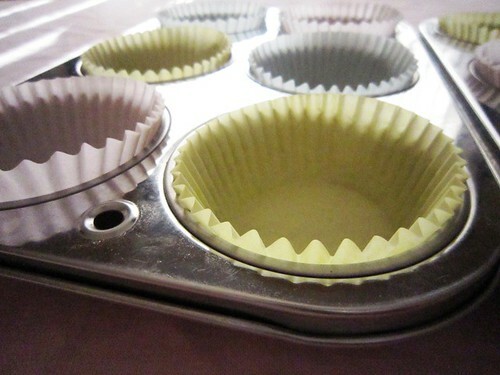 Preheat your oven to 375, and line your muffin tins with paper liners. 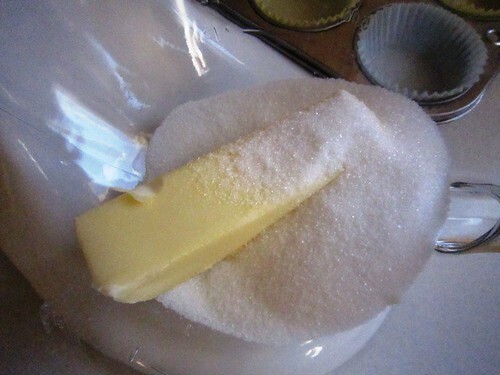 In a stand mixer, blend together a half cup of sugar and a stick of butter. 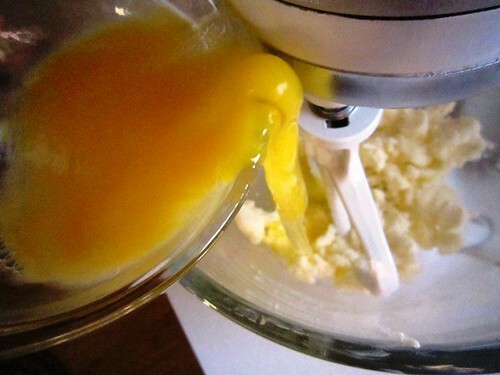 Mix in two beaten eggs. 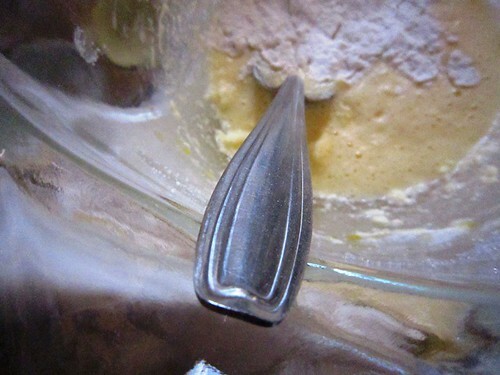 Using a metal spoon, fold in a cup of self-rising flour. 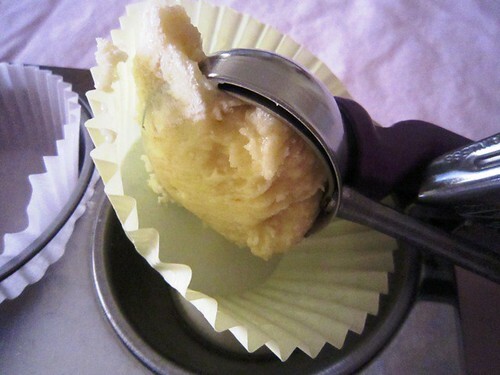 Scoop the batter into the lined muffin cups. Cool the cupcakes on a wire rack while you make the frosting. 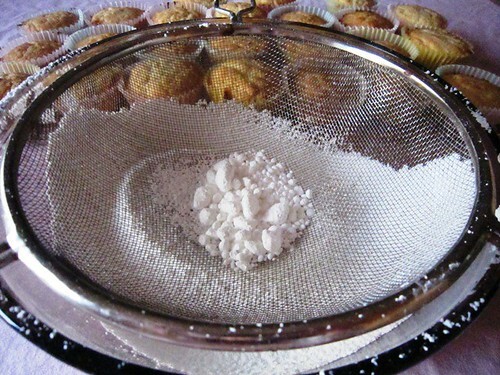 Into a large bowl, sift powdered sugar. 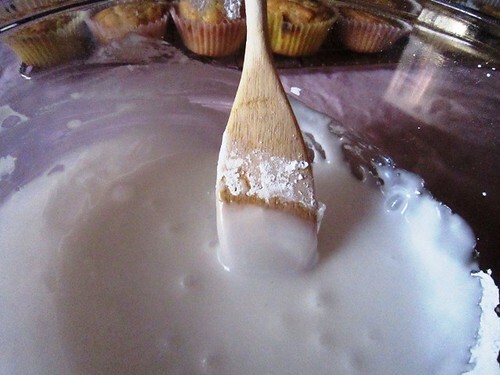 Into the sugar, stir in warm water until the icing is the desired consistency. 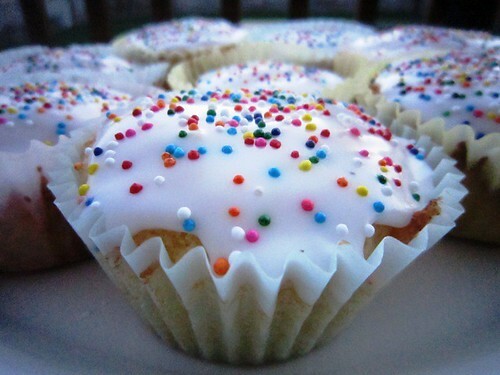 Spread the icing on the cooled cupcakes, and decorate with sprinkles if you desire. For the complete recipe, check out the Iced Cupcakes recipe in the What’s Cooking (Baking) Book published by Parragon Books in 2010. 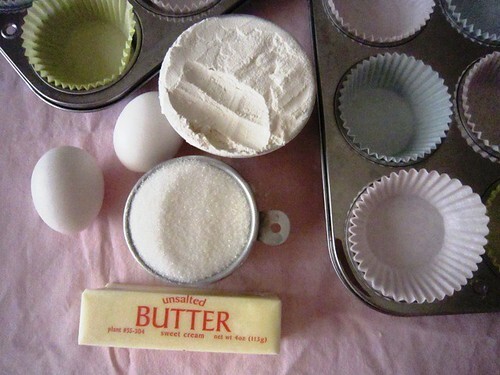 About decorating: These cupcakes are not only easy to make, but offer a variety of easy decorating options. 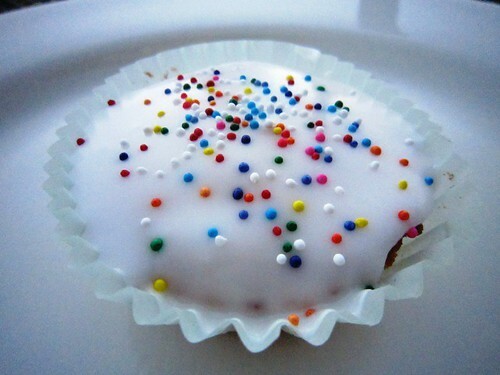 I kept the icing white and topped it with colored sprinkles. 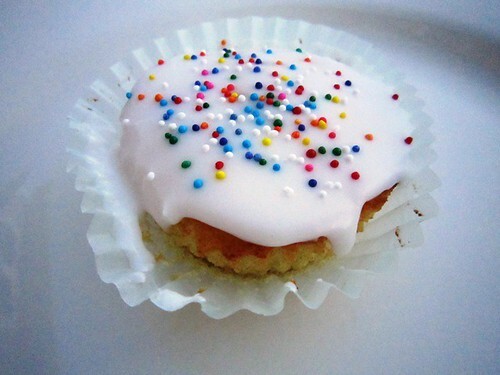 You also can tint the icing with food colors for a different look. 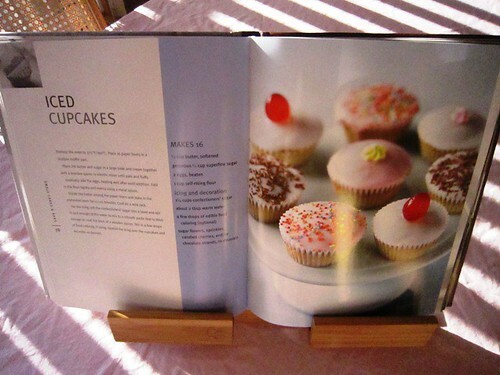 The cookbook showed cupcakes with different pastel shades of icing topped with maraschino cherries, chocolate sprinkles and frosting flowers. For other creative cupcake decorating ideas, also check out the cute royal wedding cupcakes featured on Cupcakes Take the Cake. Did you watch Will’s and Kate’s wedding this week? If you did, what was your favorite part? 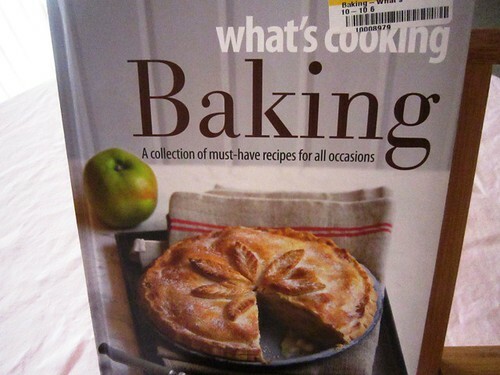 I know what you mean about book sales and the cookbooks! The half-priced book store is especially dangerous for me because I end up with double the number of cookbooks since they are half price and all. Hazlenut truffles sound wonderful too. Oh those sprinkles are just perfect…and so are the cupcakes! Me too! And if I can’t have a baked good, I’ll even settle for some ice cream. Or better yet, If I had ice cream AND cupcakes that really would be a dream come true. Wait a minute, I think there is some ice cream in my fridge that would love to be paired with that last cupcake. How cute are these?! 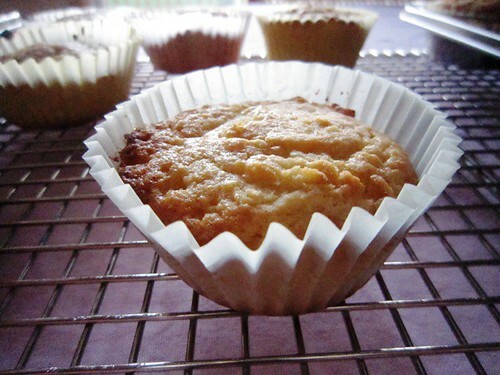 And they look simply delicious Loving your blog and so glad to be a new follower! Thanks so much for visiting! 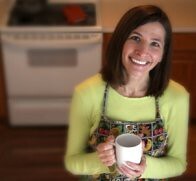 All of the recipes on your blog look delicious too. I really like the looks of that Southwestern Pasta Salad. I always make the same macaroni salad recipe, but will have to give this one a try next time. It was definitely a fairy tale moment. What a great blog you have! I am in love with William and Kate too and love that you say fairy tales can come true. We all have to dream right? Loving the cupcakes. The recipe looks really tasty and they look cute too. Thanks so much! I just can’t get enough of how cute William and Kate are together. My husband has grown tired of all my Royal Wedding talk, so it is nice to know there are others who share my love of their love story.